oming early in the season, with their thick, waxy petals forming goblets on bare branches, a mature magnolia in full bloom is a breathtaking sight. Take your notebook, camera and friends and go and visit your local botanic garden if you are not familiar with these wonderful plants and you will find the 'wish list' grows at every turn. 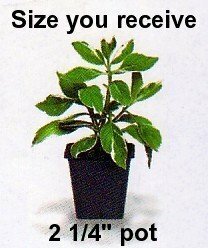 The plant you will recieve is growing in a 2 1/4" pot.